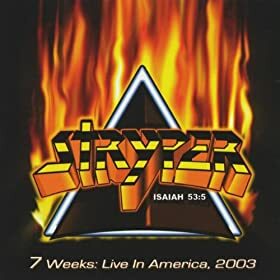 Free by Stryper is part of the album "To Hell With the Devil" and comes under the genre Christian & Gospel,General. It was released on 18 May 2004 under the label of 53:5 Records/Deep South Digital. Copyright holded by 2010 53:5 Records/Deep South Digital. Free Lyrics are the property of the respective artists, writers and labels. These lyrics are provided for eduacational purposes only. Please buy the song if you like them.